Let’s Start Coding kits are a hands-on introduction to real, typed coding with immediate, tangible feedback. 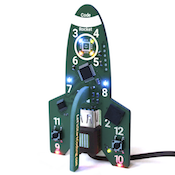 Following 12+ lessons that teach the basics of C++ typed code, kids 8+ build projects including blinking LEDs, playing songs on a speaker, and using sensors as inputs. My child absolutely LOVES this product! He has learned so much and loves to add additional lines of codes to the learning modules to expand his knowledge via trial and error. If you’re a coder, you probably remember those early ‘aha’ moments of creatively solving a problem on your own. Our kits help create those experiences. With hands-on electronics, feedback is immediate. Code examples get your child started while challenges and ideas for tweaking the code keep them engaged and coding. 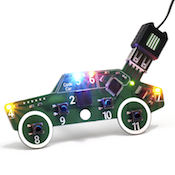 3) Watch your curious child become a critical thinking, coding master! 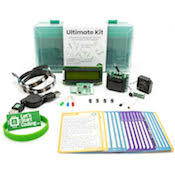 Are Let’s Start Coding Kits Right for My Kid? Thousands of kids aged 8 to 15 have used Let’s Start Coding kits as their ‘next step’ in learning to code. They love that it’s easy to get started, but the possibilities aren’t limited. If you’ve used Snap Circuits, littleBits, or coding programs like Tynker but you’re ready for something more, Let’s Start Coding is the next step for your young coder. Not ready to purchase just yet? 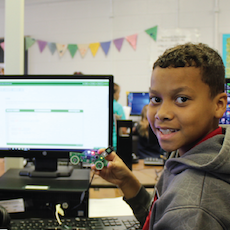 Sign up for our email newsletter to learn more about coding with kids!